Plus a TON more awesome lesson plans and activities for every day of the unit. Each day is planned out for you simply, with warm ups, recommended videos to get students engaged, and activities that help student understand each aspect of the Constitution. The unit starts out with an analysis of the Articles of Confederation and has your students identify its weaknesses before debating changes. 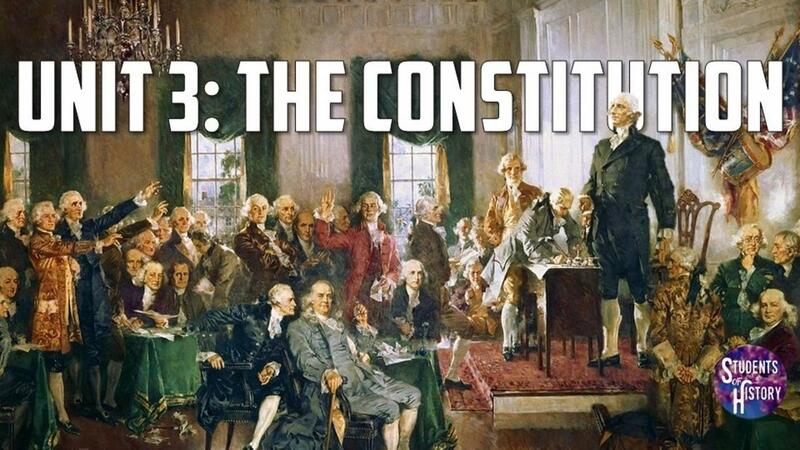 Next, are 2 lessons on the Constitutional Convention, including an interactive PowerPoint with "pop up" notes on key figures of the Convention and a reading on the key plans and compromises. 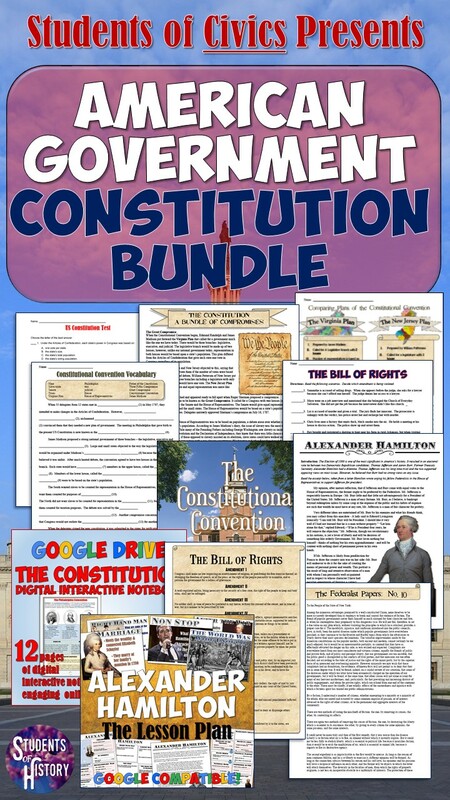 The next couple class periods are spent analyzing the Constitution itself through interactive Google Drive pages, videos, a scavenger hunt, and interactive chart activity. Next, is a lesson on Amending the Constitution with a PowerPoint and guided notes, video, interactive notebook activity, and reading. Following that lesson is one on the Federalists, Anti-Federalists, and Ratification with primary source document analysis, a reading, and video. Finally, the unit concludes with a look at the Bill of Rights and Alexander Hamilton's influence on the document (with a lesson that uses music from Hamilton: the Musical). The unit concludes with a day to review using fun online games Kahoot, Jeopardy, Quizizz, and Quizlet Live before students take the (fully editable) assessment.